The American Institute of Architects (AIA) announced that Gwathmey Siegel Kaufman is among its 2008 recipients of the AIA Institute Honor Awards, the nation’s highest recognition of works that exemplify excellence in architecture, interior architecture and urban design.The award recognizes the design of the Central Park South Apartment. 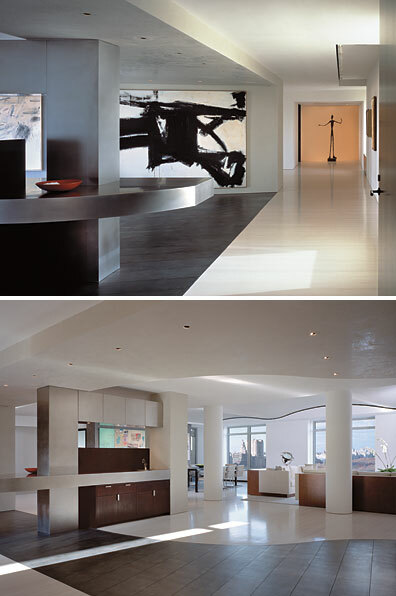 “The owner of the apartment,” according to the AIA’s press release, “wanted a densely programmed dwelling where the architecture would act as a ‘coequal frame for the art, the furniture and the view.’ Charles Gwathmey, FAIA, responded by using asymmetry and sculpted forms to create an enigmatic and unpredictable space that seamlessly incorporates the seemingly arbitrary layout of columns and plumbing lines. Selected from over 800 total submissions, the 28 recipients will be honored in May at the AIA 2008 National Convention and Design Exposition in Boston.